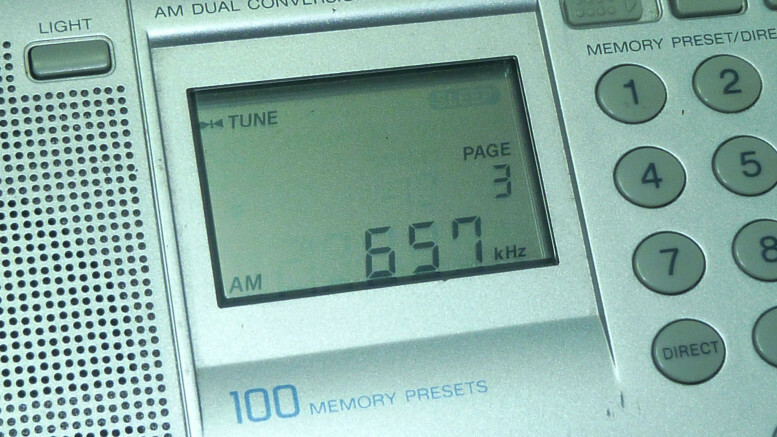 Tuning into Pyongyang Broadcasting Station on 657kHz in Paju, South Korea. Voice of Korea (조선의소리), North Korea’s international shortwave broadcasting station, adjusted its transmission schedule on October 31 for the winter 2016 and spring 2017 seasons. The broadcasts follow the same basic line-up each day. The Voice of Korea typically updates its broadcasts, including the news, once a day during the daytime in Korea. The news output follows closely the text of English-language stories from KCNA with minor editing and is generally a day behind news being put out on the domestic service in Korean. You’ll need a shortwave radio and good antenna to receive the broadcasts. If you don’t have these, many of the news items can be found on The Voice of Korea’s website. The music programming is not online. In addition to English, the station broadcasts in French, Spanish, Arabic, German, Chinese, Japanese and Russian. The full schedule for Voice of Korea is listed below and comes courtesy of Arnulf Piontek in Berlin. It is unchanged from the schedule used during the previous winter. The schedule shows the time in GMT (UTC), the language, the frequencies in kilohertz (kHz) and the target area of the broadcast. Korean-language programs are from the domestic Korea Central Broadcasting Station (KCBS). First the schedule sorted by time, then by language. 1 Comment on "Voice of Korea schedule through spring 2017"
Thanks for posting the data.